Q: Why do I have to ask the questions? A: Do you think that is the question to ask? We're delighted that the Vangobot robot has created a painting in our honor. The piece is entitled "4 Prof. Oddfellow." It's like looking in a mirror! Portrait from Memoir of the Rev. John James Weitbrecht. Once upon a time, there was a woman who discovered she had turned into the wrong person. Suddenly, a shot rang out. "It's really happening. It was out there now. There was no turning back." The foreground photo of this collage is from the wrongfully-canceled comedy series Arrested Development. "'Science is systematized and formulated knowledge.' Then anybody who has systematized and formulated knowledge enough to appear, on time, at the breakfast table, is, to that degree, a scientist. There are scientific dogs. Most of them have a great deal of systematized and formulated knowledge. Cats and rabbits and all those irritating South American rodents that were discovered by cross-word puzzle-makers are scientists. A magnet scientifically picks out and classifies iron filings from a mass of various materials. Science does not exist, as a distinguishable entity." Portrait from The Autobiography of William Jerdan. 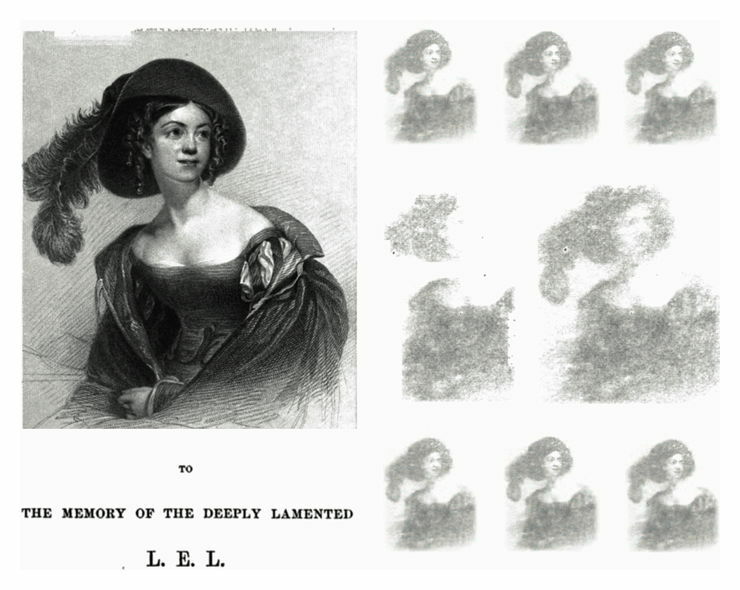 In this haunting, the ghost of “the deeply lamented” L.E.L. appears no fewer than eight times, courtesy of the scanners at Google Books. To understand what's going on here, see The Ghost in the [Scanning] Machine. Photo by Luc De Leeuw. "It wasn't the dying. He had seen men die all his life, and death was the luck of the chance, the price you eventually paid. What was worse was the stupidity. The appalling sick stupidity that was so bad you thought sometimes you would go suddenly, violently, completely insane just having to watch it." "'It's really happening,' I said, excitement creeping into my voice. 'In spades.'" The foreground photo of this collage is from the wrongfully-canceled comedy series Arrested Development. The neon spade is by Jeremy Brooks. A story has no beginning or end; arbitrarily one chooses that moment of experience from which to look back or from which to look ahead. Suddenly, a shot rang out. "The Sickle of Leo, from which come the Leonids, gleams like a great question-mark in the sky. The answer— But God knows what the answer to anything is. Perhaps it is that the stars are very close indeed." "Of course, in our acceptance, the Irish are the Chosen People. It's because they are characteristically best in accord with the underlying essence of quasi-existence." 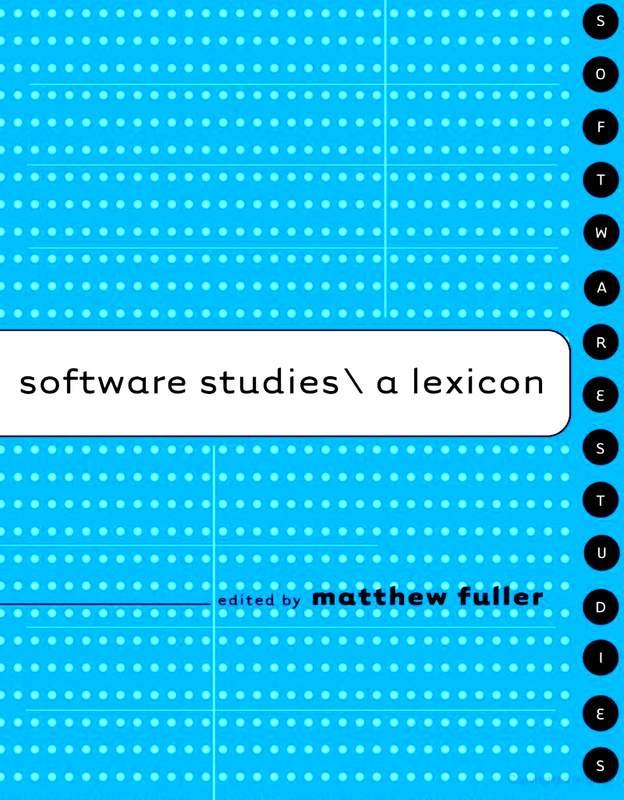 We're honored to have our insights into "hocus pocus" referenced in Software Studies: A Lexicon, edited by Matthew Fuller. The chapter in question is Marco Deseriis' "Text Virus." "The only reason to save something is to use it." 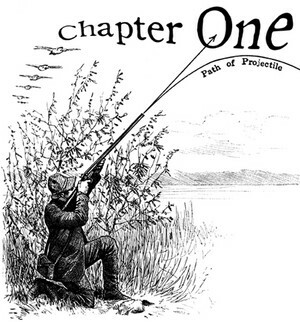 Frontispiece from William Douglas O’Connor’s The Ghost. The implication seems to be this: spirit is a shadow in the material realm, and material is a shadow in the spirit realm. To understand what's going on here, see The Ghost in the [Scanning] Machine. While decorative type ornaments are predominantly botanical in nature, punctuation marks betray bestial origins. 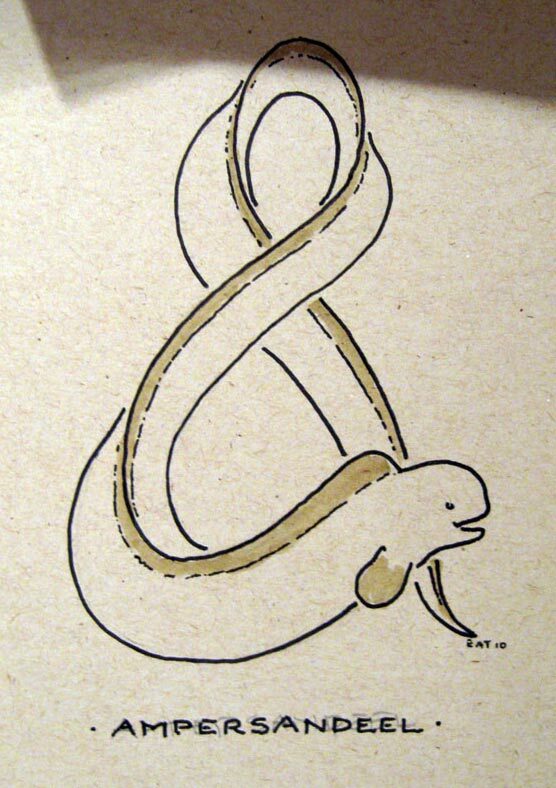 The ampersand, for example, descends from a snakelike fish. Portrait from Memoir of the Rev. Thomas Allin. The moment one learns English, complications set in. Suddenly, a shot rings out. This could be the two-sentence life story of so many tortured writers. Of course, simply reversing the order of the sentences avoids those pesky English complications altogether, but then who would be left to torture? It's a bit of a paradox. "I have records of 31 extraordinary events in 1883. Someone should write a book upon the phenomena of this one year—that is, if books should be written." still a million miles away. We love the sentiment that working through a lot of digits to make an international call somehow ought to subtract from the distance. 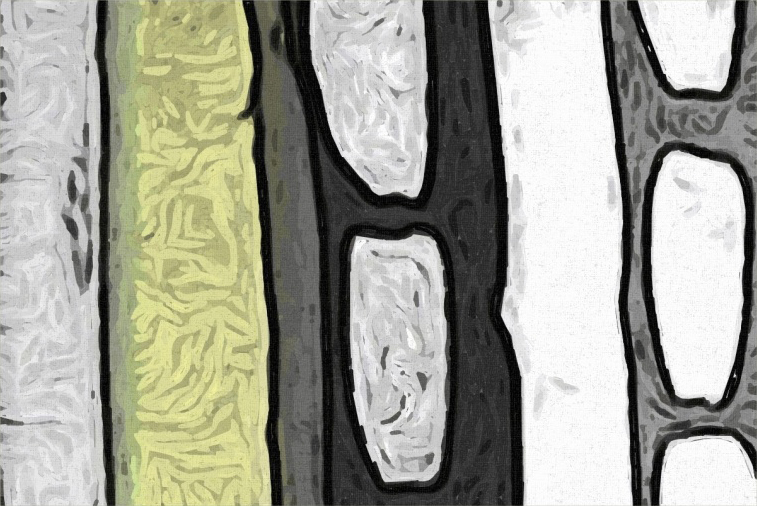 The paradox arises from considering space and "long distance minutes" as separate entities. Ultimately, as with Zeno's puzzles, solving the mathematical issues does not solve every issue the paradox raises. From William Douglas O’Connor’s The Ghost. 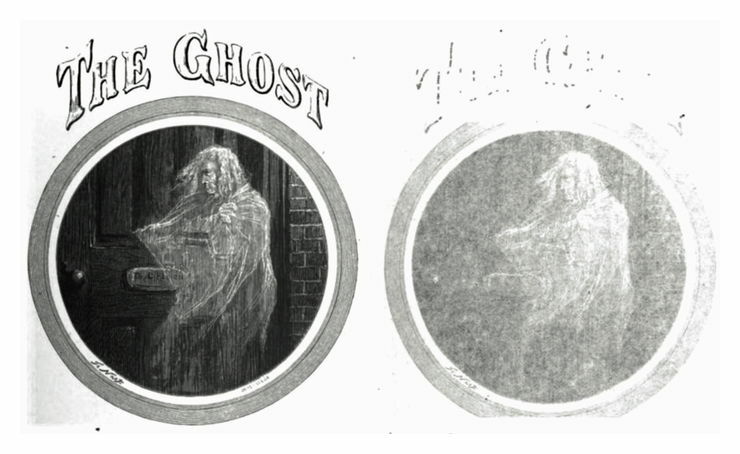 The left image depicts the ghost as it appears in the material realm, while the right image depicts the ghost as it appears in the immaterial realm. And so we learn that ghosts are even more nebulous in the netherworld. 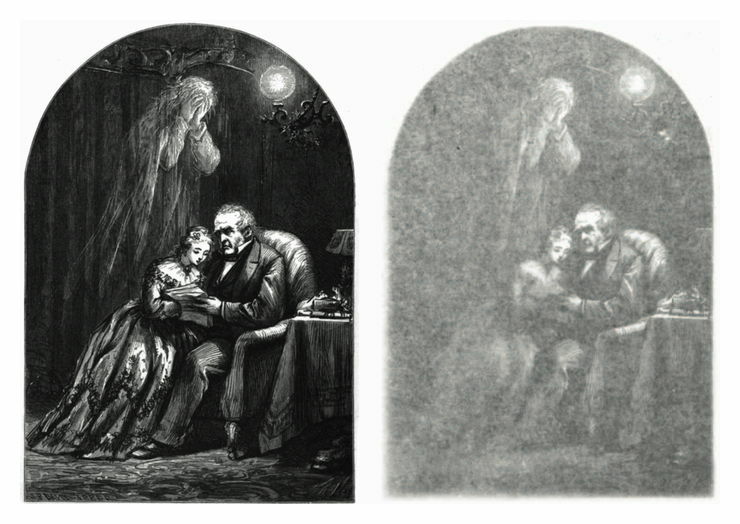 To understand this phenomenon, see The Ghost in the [Scanning] Machine. Freshly fallen snow can actually store the sounds of unsubstantiated wildlife as well as project them with clarity. A carefully gathered snowball is like a library of sounds stored on crystalline shelves. When held to the ear like a seashell, it may whisper the mythic secrets it has absorbed. Ergo, composer and music theorist John Rahn describes "a little snowball of sounds” (Perspectives on Musical Aesthetics, 1995). Snow expert Nancy Armstrong explains that "When snow is newly fallen, sound waves are absorbed into its soft surface. Later, when the surface has hardened, sounds may travel further and sound clearer, because the snow reflects sound waves, sending them more quickly through the air” (Snowman in a Box, 2002). Barbara Blair concurs: "snow is a wonderful substance to enhance awareness” (Communing with the Infinite, 2006). Here’s a secret: cryptozoologists can "see” more disputed wildlife, per capita, with their eyelids shut than the average person can see with eyes wide open. That’s because they have an intimate friendship with the sounds unsubstantiated creatures make. As you concentrate with eyes closed and mind focused, you may detect the telltale song of the unicorn, for example, announcing the presence of the venerable creature and beckoning you to begin your quest. When you open your eyes, the unicorn may not be immediately visible, but you’ll know where to start looking. Hearing disputed wildlife requires time, patience, and "deep listening” skill on the part of the human, and vocal projection on the part of the animal. Because we live in a highly visual world, we rarely exercise the full range of our hearing. Yet our ears can detect things that our eyes automatically neglect. By listening as opposed to looking, we can avoid overlooking. Practice can be richly rewarding, whether one is listening for unicorns in particular or neglected delights in general. Wintry days are excellent for listening practice. Wisps of glittering snowflakes gently falling to earth—that faint sound is subtle but by no means imperceptible. The key is to distinguish it from total silence. Barbara Wright explains: "the lovely sound of snowfall” is "no sound at all, really, but neither [is] it silence” (Plain Language, 2003). Sandra Meek agrees, but adds an intriguing qualifier: "No sound for snow, no definition of ice. The unsaid among shuttered wings” (Nomadic Foundations, 2002). Without question, unsaid utterances can resound in the silence between two beings. Perhaps they are unspeakable. Perhaps they are ineffable. In any case, they spiral, grow, and ring in our ears. As Mary Summer Rain has noted, deep silence intensifies the sound of falling snow (Soul Sounds, 1992). If not distorted by foliage, a gust of wind might carry fragrances from afar, winged seeds, the moans of trees, echoes of laughter and distant whistles, the howls of storms, sudden chills, the invocations printed on prayer flags, and the sounds of a gamboling unicorn. It is common knowledge that unicorn sound waves can be better detected downwind of the beast than upwind. But why is that, considering the fact that wind velocities are a mere fraction of the speed of sound (750 miles per hour)? The phenomenon may derive from wind shears deflecting sound waves either downward (more toward the listener) or upward (away from earshot). Naturally, if a unicorn sound is carried by the wind, the source of that sound will be upwind (opposite the direction of the gust). In the case of whirlwinds, anything goes. Bear in mind that the signature "distant” sound may not indicate physical remoteness. The ethereal, unworldly nature of the unicorn gives its voice a decidedly far-off quality. Think of it as a "special effect.” The exotic reverberations evoke bygone eras, distant memories, faraway lands, remote connections, out-of-print books, and reserved feelings. Our ears pick up on that detachment and our brains try to account for it, "interpreting” it as coming from far away. Be aware that a seemingly distant chiming could indicate a unicorn right around the corner or even close enough to touch. Natural unicorn quietude is a wondrous thing. But an unnatural hush has come over unicorn populations around the world. A "culture of silence” disseminates the misinformation that unicorns don’t exist, thereby perpetuating a vicious cycle. Something natural goes into hiding, essentially becoming invisible. Unicorns’ needs are hidden and go unrecognized, thus perpetuating poor public policy and fueling the culture of silence. 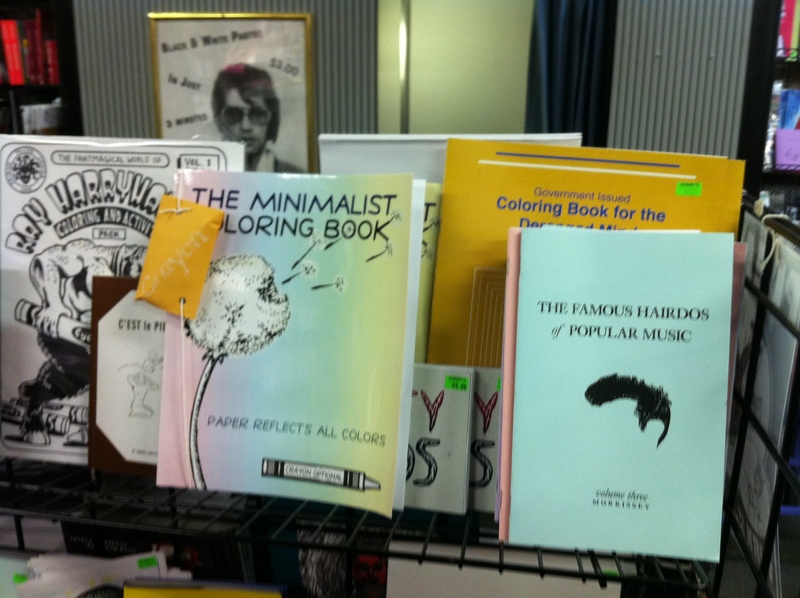 Gordon spotted our Minimalist Coloring Book at Chicago's Quimby's Bookstore, sitting next to The Famous Hairdos of Popular Music, volume three. The pairing is apropos, for "a minimalist hairdo attracts attention and is very chic today" (Mark H. Ford, Self Improvement of Relationship Skills Through Body Language). Fiction "is an absolute necessity so that civilization continues to exist, renewing and preserving in us the best of what is human" (Mario Vargas Llosa's Nobel lecture, "In Praise of Reading and Fiction," Dec. 7, 2010). Going through some old files, we rediscovered our rough notes for a card game we devised several years ago. Suggestions for improvements are welcome. Elements is a card game for 2 players that involves sketching a map throughout. The object of the game is to win all the cards. At the end, both players will have created their own map of a new world they have created out of combined elements. Required materials: deck of element cards, two pieces of blank paper, pencils (or crayons, markers, and so on). The cards are divided into 7 suits (earth, air, space, fire, water, metal, wood), according to the sacred elements recognized in ancient belief systems from around the world. Each element card is numbered from 1 to 10. Higher numbers indicate stronger forces (i.e. influences, powers) associated with that element, and lower numbers indicate weaker forces. Shuffle the deck. Deal out all the cards, so that each player has half of the deck. Players do not look at their cards, but keep them in a stack face down. Players simultaneously turn their top cards face up and put them on the table. Whoever turns the higher card takes both cards, determines the cards' outcome according to the key below, adds the cards to his own discard pile, and quickly sketches the outcome to his map. Then both players turn up their next card and so on. If the turned up cards are equal, there is a stalemate and each player adds his own card to his own stalemate pile. The game continues until one player has the majority of cards in his discard pile and wins. However, both players will end up with a map of a new world. Regarding the map, it is recommended that each player begin by dividing the blank page into three equal sections with three horizontal lines. The upper section will represent the Upper World or sky, the middle section will represent the Middle World or land, and the lower section will represent the Underworld or underground. Portrait from Ralph Waldo Emerson’s Complete Works. CLEAR AND COHERENT ABSURDITY: "I think I agree with Joyce's lapsed Catholic hero in A Portrait of the Artist as a Young Man: 'What kind of liberation would that be to forsake an absurdity which is logical and coherent and to embrace one which is illogical and incoherent?' 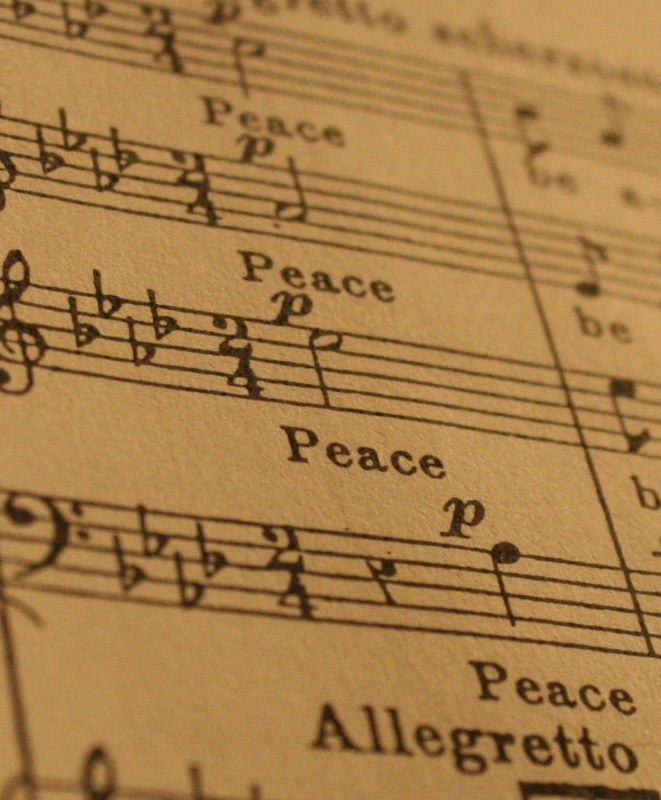 The religious celebration of Christmas is at least a clear and coherent absurdity. The commercial celebration is not even that." —Umberto Eco, "God Isn’t Big Enough for Some People"
The sky above the port was the color of television, tuned to a dead channel. Suddenly, a shot rang out. "In cosmic punctuation there are no periods: illusion of periods is incomplete view of colons and semi-colons." Q: What is it about rhetorical questions? A: Yeah, I know, right? his little bit the whole to own. I dreamed I had two left feet. Portrait from Life of John, Lord Campbell. We took the liberty of footnoting the multi-faceted, fractal-like puns in a whimsy of our friend Jeff. I'm *still* laughing about this one. Masterful! Portrait from A Memoir of Rev. Bennet Tyler. It was a wrong number that started it, the telephone ringing three times in the dead of night, and the voice on the other end asking for someone he was not. Suddenly, a shot rang out.